There is a lot wrong with the popular History Channel series Vikings. There is a lot right with it, too. Much of what you see on screen falls in the middle somewhere. An example or two of the wrong: If there even was a Ragnar Lothbrok (the series’ main protagonist in its first four seasons, and who some historians consider a conglomeration of many Viking characters), he did not live at the same time as his series’ brother, Rollo. 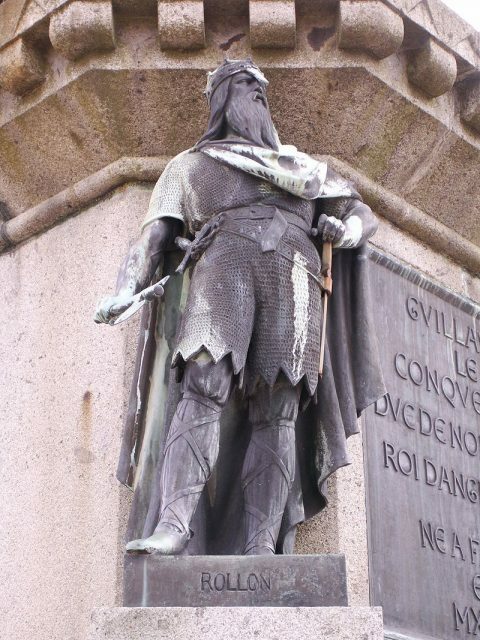 In the series, the character Rollo (in reality, “Gangr Hrolf,” or “Hrolf the Walker” for his long legs) lived 50 to 75 years before the man was actually born and he received land in France, which became “Normandy,” meaning “Land of the Northmen,” perhaps 100 years after the series begins. After agreeing to help the King of France repel any further invasions by his brother, Rollo proceeds to use French troops to kill his Viking compatriots who complain. Why then is Rollo needed? Now he is just a lone Viking. In the Season 5a finale, we see Rollo coming to the aid of his nephews Ivar and Hvitserk at the head of a massive fleet. If the French had a massive fleet capable of reaching Norway, it’s news to virtually everyone, and history would likely have played out much differently than it did. Those are just a couple of things wrong with the character Rollo and the timeline of the program. However, the series does get much right. Much of the everyday life of the Vikings depicted in the series is correct, with the popular exception of the semi-Mad Max leather costumes. We know too that Viking men were frequently tattooed and wore somewhat elaborate hairstyles. We are told this by Arab travelers who documented their visits among the Northmen. Most of the rituals depicted in the series fits outside contemporary accounts as well. It seems also that Michael Hirst, the shows’ creator and writer, got the idea of female warriors right. While “shield-maidens” had been loosely mentioned in some texts following the Viking era, there had never been definitive proof. We don’t have it now, but it’s beginning to look like some women did take part in Viking warfare, and/or at the very dangerous game of Viking politics. In 1889, Viking-era remains were found in a grave in Birka, Sweden. 128 years later, they were identified as female through DNA testing. In the grave with the female skeleton were typical warriors goods. Though nothing points directly to her being a warrior–she may have been a high-status warrior’s wife, given his expensive goods as a token of love, or perhaps the high-status female was anticipating joining the Valkyries in the afterlife. We are not 100 percent sure. However, when taken with tales from the sagas (whose details, not theme, should be taken lightly), we know that women played a significant role in the political world of Iceland. We know that women in Norway and Iceland enjoyed rights that few other women of the time could even dream of, such as divorce and inheritance. 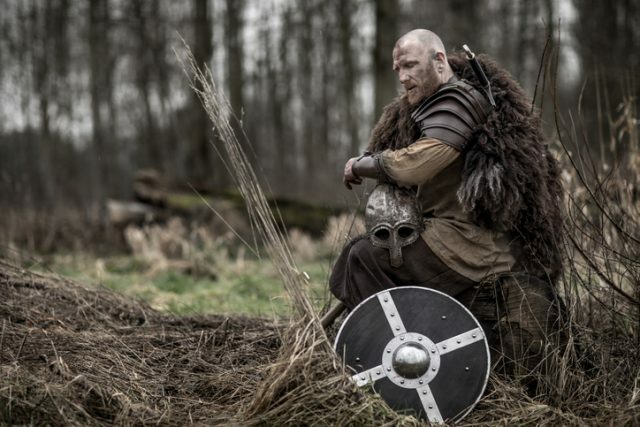 The series’ first episode revolves around Ragnar Lothbrok and his brother yearning to try their hand at raiding in the west, not around the Baltic Sea as they apparently have for years. This is another of the show’s errors–the Vikings knew full well there was land to the west. Trade had gone on sporadically for centuries throughout the breadth and length of northwestern Europe, including the British Isles. Still, many British trade goods arrived via Denmark over land from France, and not every Ragnar, Rollo, or Ivar would know how to get there over the open ocean. Ragnar lets his brother in on a little secret. He has gained a “sunstone” from a wanderer, and this will allow them to successfully navigate even if the sun is obscured with cloud and fog, as is common as dirt in the North Sea. Here’s the trouble. 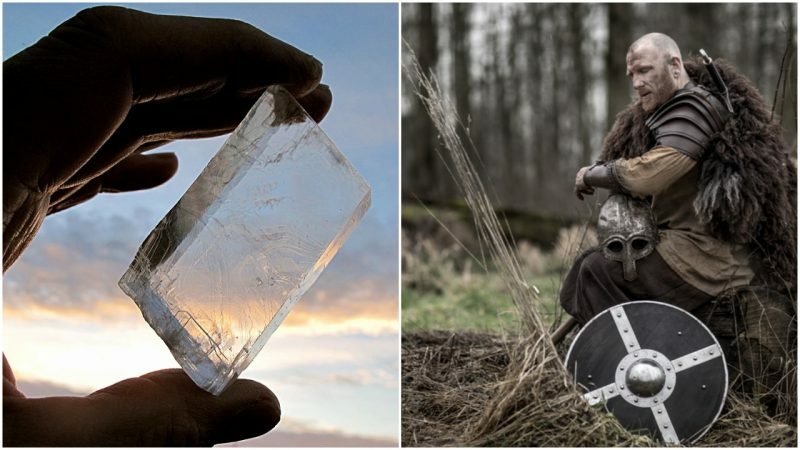 No one is sure that sunstone (which is the nickname for certain types of feldspar, and other stones, such as calcite and tourmaline) was used in the Viking era, or as early as Ragnar Lothbrok was said to have lived. Icelandic sagas written in the 12th and 13th centuries mention “sunstones” but are vague about their use. Later Christian texts mention them as well, but we do not know whether the Vikings of any era used them for navigation. Until archaeologists find one in a Viking grave or other yet undiscovered site, we may never know for sure. 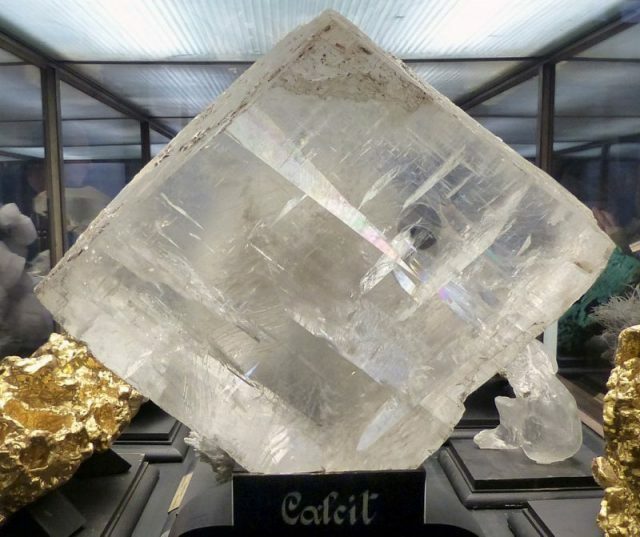 Recent studies at the Eötvös Loránd University in Hungary have shown that it was possible to navigate using a sunstone. As reported in the journal Royal Society Open Science in April 2018, two professors, Dénes Száz and Gábor Horváth, knowing the measurements and traits of Viking-era vessels, weather patterns in the North Sea and currents, ran 36,000 computer simulations of Viking voyages. 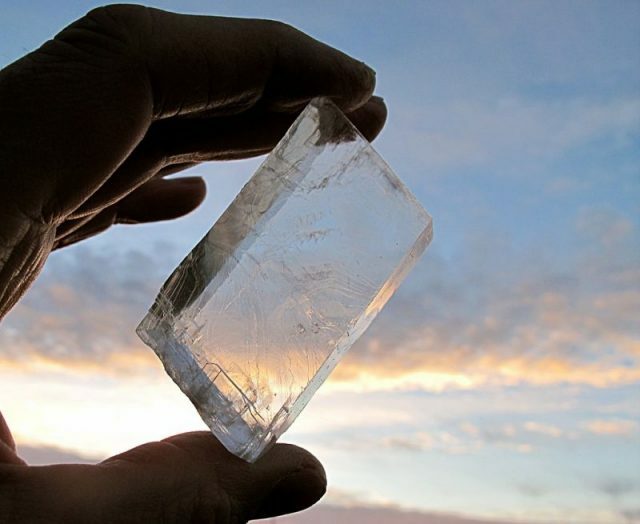 They found that if a navigator used a sunstone to monitor the sun’s position at least once every three hours he would reach his target exactly 92-100 percent of the time (and this period includes just before sunrise and just after sunset, as sunstones can magnify the suns light on the horizon before its truly visible to the naked eye). In one of their simulations, the professors used a different type of sunstone, and departing from Norway in their simulation, found that if they checked their stone for the sun once every four hours instead of three, they would blow past the United Kingdom, Iceland, Greenland, and end up in…Canada. Surprisingly, Vancouver – not Shanghai, Hong Kong or Las Vegas – was once the neon capital of the planet. Wide shot: a city’s majestic backdrop of sea and sky, skirted by folds of Douglas fir, and deep, zigzagging fjords. Zoom in: a downtown core on the rise, a mixture of newly built condominiums, theatres and red-brick saloons. Close-up: in the middle, a hodgepodge of advertising signs and overhead utility lines rearing out of the darkness. And the big picture: the sky electrified in a glow of red, yellow and green as 19,000 neon lights switch on. Step back in time to 1950s Vancouver, and this is what would have greeted you after sailing across the Georgia Strait to the city’s historical district of Gastown. From here to the suburbs, the streets hummed with transporters and Frankenstein-like glass insulators. Logging agencies, lumberjack recruiters – even churches – advertised with neon lettering, while residents amped up their houses with neon door numbers. Harder to believe still, the city produced more strip neon than anywhere else on the planet, with one sign for every 18 residents, and 12 factories, including the world’s largest. Stories like this aren’t supposed to happen in the middle of the Pacific Northwest’s beautiful temperate rainforests. Maybe in Hong Kong, Las Vegas or Shanghai, cities where streets besieged with neon are part of downtown lore. But Vancouver, Canada’s great-outdoors capital? The sheer volume of neon colour juxtaposed with its beautiful natural setting seems alien. Yet the truth that it was one of the world’s first capitals of neon is unlike anything stereotypes of the city might lead you to expect. The museum’s rich collection of aged and weathered signage comes from the groundwork of Atkin, who first curated an exhibition on the city’s neon history back in 2000. Two stand-outs are a gigantic pink-striped ‘R’ from Regent Tailors, first hung on West Hastings Street in 1960; and a buzzing red and green headstone designed for S Bowell & Sons Ltd Funeral Directors from the previous decade. According to Atkin, the key thing that set Vancouver apart was the majority of sign makers here were art-school graduates. That meant there was a real consideration for design, and streets became canvases of typography, colour and action. The definition between where the building finished and art began started to blur. Atkin clearly remembers the tales that illuminated his childhood. When he was a boy, he used to cycle through the inner city on his way to swimming practice. He was an early riser, and somehow felt drawn to the rainbow-coloured signs on downtown Granville Street in the pre-dawn light, particularly vibrant around 05:00. Share such stories with Vancouverites today and many will be puzzled. Tell them trees were covertly planted beneath well-known signs to blot out the visual noise and they’ll scarcely believe you. But there’s a good reason: the signs have all but gone, with most consigned to the scrapheap. For history hasn’t been kind to Vancouver’s neon. Did it signal glamour and big-city living – or was it a vulgar display that vandalised a city? From the 1950s to 1970s, this was the question that divided the city, with neon becoming a symbol of a deep civic controversy and a lightning rod for critics. By the 1960s, a growing suburbia meant neon had become demonised and associated with urban blight. “You can have civilisation, or you can have neon,” said one detractor, the criticism ironically lit up as a display at the museum. “It is vital to Vancouver’s reputation as a beautiful city… that these proposed sign controls be implemented before any more visual squalor is added to our most attractive streets,” said another at the height of the backlash. To the city’s lawmakers, the signage frustrated people’s expectations of what Vancouver – surrounded by a northern cape of mountains and forests – should be. The throbbing glow was seen as an ugly, seedy distraction. So by 1974, the city adopted its first comprehensive sign control bylaw, restricting new neon signage beyond measure. Today, examples of vintage neon still dot Vancouver, although you need to know where to look. For maximum impact, a walk through the city should take in The Orpheum and Vogue Theatre, two typographic verticals on Granville Street trimmed with bulbs. On nearby Hastings Street, a quick succession of marvels then spreads farther east, including signs such as those at Save On Meats, The Balmoral and The Pennsylvania (hotels turned social housing projects) and Ovaltine Cafe, a city fixture dating to the early 1940s. However, thanks to newly tempered bylaws keen to curtail downtown’s commercial decline, change is gathering pace, particularly in Chinatown, an area intrinsically tied to neon’s rise and fall because of the propensity of restaurants to embrace the advertising. Walk along East Pender Street and you’ll come to Sai Woo, a nearly 100-year-old restaurant, restored and reopened in 2015 as part of the area’s ongoing gentrification. Here, the unmissable 3x2m neon cockerel advertising chop suey – paid for by a community-supported C$19,000 Kickstarter campaign – is just the start of a welcome revival. The message is clear: there’s a new generation willing to embrace the visual noise. Next for Chinatown is the return of Foo’s Ho Ho, Vancouver’s oldest Chinese restaurant and a place famous for a once-notorious neon artwork. It was the address for an incredibly complex four-storey sign depicting a two-sided bowl of steaming noodles with flashing, alternating English and Cantonese words. The campaign to restore it has been masterminded by restaurant owner Carol Lee. Designed from scratch by Atkin using a more streamlined design, and paid for through heritage grants and donations, the C$80,000 signboard will be unveiled later next year. The ultimate symbol of Vancouver’s transition from west coast logging town to vibrant metropolis, neon was once the city’s hallmark. Tomorrow’s Vancouver – shining bright – will be as much a reaction to its past as it is a celebration of the future. The cool, crisp breeze dancing in from the Atlantic Ocean lifted my hair back from my face, and the bright sunshine highlighted a massive iceberg floating a few miles out, a powerful and sparkling contrast against a gentle blue sky. I carefully framed the iceberg over my left shoulder and snapped the perfect selfie. A few taps of my phone later, the image was soaring through cyberspace from my location in St John’s, Newfoundland, to my various social media channels and followers around the world. I smiled, wondering if, when Guglielmo Marconi stood on this spot in December 1901 to receive the world’s first wireless transatlantic transmission, he had any idea of where his success would lead. Would Marconi have taken a selfie on this spot? I was on Signal Hill, a massive piece of bedrock about 140m above the Atlantic Ocean on Canada’s eastern shore. It’s a dramatic spot where the ocean merges into St John’s Harbour, creating a waterway appropriately called The Narrows. Fishing boats and trawlers pass through each morning just as the sun begins to illuminate the route, and again in the early evening hours to bring seafood to the local restaurants and canneries. They, too, make vivid images to share on social media. A paved trail from downtown St John’s follows the harbour shoreline to the bottom of the hill before winding around and up via a series of switchbacks and steps that make the hike an energetic workout. When I explored on a Saturday afternoon, the hillside was dotted with picnickers, dog walkers and people enjoying the beauty of the day. Two wedding parties with photographers in tow were taking advantage of this exceptional setting as a backdrop for their special day. But its popularity was not what brought Marconi to Signal Hill. Indeed, the number of visitors was a concern as he considered the needs for his experiment. The child of a wealthy family in Bologna, Italy, Marconi was well-educated, and from an early age was fascinated with science, specifically the transmission of electromagnetic waves through the air. He was the first to discover that by grounding a transmitter and receiver, and raising the height of an antenna, he could extend a signal’s range. That was big news in 1894. But few in Italy were impressed, so Marconi moved to Great Britain where he patented the invention and found investors to continue his work. The big question of the day was whether a long-distance radio wave could follow the curvature of the Earth or whether it just shot out into space. Marconi scoured several locations on North America’s eastern seaboard for this experimental, transatlantic transmission. His first choice was a rocky outcropping in Wellfleet on Cape Cod, Massachusetts, but a series of storms on both sides of the ocean that battered antennae and other equipment eventually led him further north. Signal Hill is not the most eastern point in North America; that would be Cape Spear, a little further south. But Signal Hill is slightly more protected from the North Atlantic’s furious storms by a natural recess in the coastline. On a clear day, you feel as though you could shout a greeting to someone on England’s rocky coast, about 3,500km to the east. Marconi had already chosen his ideal location on the other side of the Atlantic: Poldhu on the Lizard Peninsula in South Cornwall. Although the original transmission station is gone, a monument and visitors centre today marks the spot and interprets what was going on here while Marconi and team worked on the other side of the ocean. Those in England worked in isolation, struggling with weather conditions of their own, not knowing at all what was transpiring in Newfoundland. It had been weeks since they had communicated with Marconi and team. For several days, at an appointed time each day, the scientists at Poldhu transmitted three simple dots – the Morse code signal for the letter ‘s’. Marconi was battling against the violently cold and windy winter up here, and needed to use a series of balloons and kites to help keep his antennae upright. But each day, at the designated time, he donned headsets and listened. Finally, on 12 December 1901, it happened. Dot-dot-dot. Marconi was instantly a name known around the world, comparable today perhaps to Mark Zuckerberg or Steve Jobs. He made millions from his inventions and received the Nobel Prize for Physics in 1909. Signal Hill is now a National Historic Site. And about 64km south is Cape Race, the first permanent Marconi station in North America. It was here on a cold night in April 1912 that wireless transmissions from the RMS Titanic were received and shared with the rest of the world. Both places are worthy of a selfie, thanks to Guglielmo Marconi. While driving north along the TransCanada Highway, I was stopped by a moose. I sat stranded along the stretch of roadway in northern Newfoundland known as the Viking Trail, which leads to L’Anse Aux Meadows National Historic Site, the only authenticated Norse settlement in North America. As I waited for him to carry on his way, I noticed that the tree branches in the forest lining this section of road all pointed east, angled by the force of the wind blowing inland off the Strait of Belle Isle, the narrow strip of water separating Newfoundland from Labrador. Twenty minutes later, I continued on my journey; it was another 80km to L’Anse Aux Meadows National Historic Site. Stepping out of the car, my nostrils filled with the crisp, briny sea air carried in by a breeze that rippled across the grassy landscape. It is here, on the northern tip of Newfoundland, that a significant moment in human migration and exploration took place. 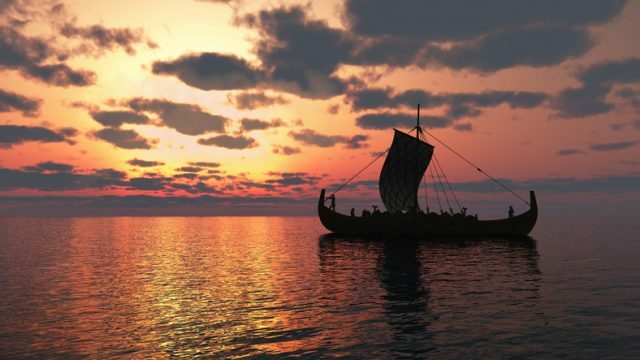 In the year 1000, nearly 500 years before Christopher Columbus set sail, a Viking longboat, skippered by Leif Erikson, brought 90 men and women from Iceland to establish a new settlement – the first European settlement in the New World. Erikson’s party arrived at low tide and found themselves stranded in the misty shallows of what historians believe was Epaves Bay. When the tide returned, they moved further inland, navigating up Black Duck Brook to the place where they would establish their stronghold in their new-found land. By modern sensibilities, Newfoundland can seem a harsh place, with fierce coastal winds whipping across the remote landscape. But for people who just travelled across the unforgiving North Atlantic in open boats, it would have been perfect. The forests were rich in game; the rivers teemed with salmon larger than the Norse had ever seen; the grasslands provided a bounty of food for livestock; and, in some places, wild grapes grew, prompting the Vikings to name this land ‘Vinland’. The settlement didn’t last long, however; the community abandoned the settlement after less than a decade after repeated clashes with the island’s native tribes, known to the Vikings as ‘Skraelings’. For more than 100 years, archaeologists in Finland, Denmark and Norway used ancient Norse sagas to guide their search for Erikson’s lost settlement, scouring the coast of North America from Rhode Island to Labrador. In 1960, a husband-and-wife team of Norwegian archaeologists, Helge and Anne Stine Ingstad, heard from locals of L’Anse Aux Meadows – the town for which the site was named – speak of what they believed to be an old Indian camp. The initial excavation of the site’s mysterious seaside mounds revealed a layout similar to longhouses found in confirmed Viking settlements in Iceland and Greenland. Then, the discovery of a 1,000-year-old nail indicated that ship building had taken place here, leading them to believe that they had discovered the long lost Vineland settlement. From the entrance of the L’Anse Aux Meadows National Historic Site, a narrow path crosses a landscape that has changed very little over the centuries. Mossy partridgeberry and bakeapple vines cover a boggy shelf along the rocky shoreline. Cow parsnip stands as tall as centuries-old dwarf trees, its clusters of tiny, white flowers blooming at shoulder level. The only noticeable sounds are the cry of seabirds, the rustling of grass in the wind, and the slapping of waves on the pebble-strewn shore. In the shallows, rows of jagged rocks jut out of the calm, clear water like teeth waiting to bite a boat’s bottom. The path leads to the grassy outlines of the settlement’s original three large lodges and five workshops. Parks Canada has recreated a sod lodge and two more workshops near the original mounds. There, guides and animators dressed as Vikings explain the Norse architecture and lifestyle and demonstrate ancient crafts. The recreated lodge is entered through a Hobbit-high doorway built into 6ft-thick walls. Thanks to the sturdiness of the construction, the winds may howl outside, but inside is silent. If L’Anse Aux Meadows is indeed where Erikson’s party settled, it would have been in one of these huts that Erikson’s nephew, Snorri, became the first European baby born in the New World. Nearly 1,000 years later, this unassuming collection of mounds experienced another first. In 1978, Unesco announced the creation of the now lauded World Heritage List; L’Anse Aux Meadows was the first cultural site in the world to receive Unesco World Heritage status. I spent two hours at L’Anse Aux Meadows, listening to the costumed reenactors and studying exhibits in the visitors centre. Before I left, I lingered on the shore washed in salty breezes that had travelled thousands of kilometres across the same seas that Erikson and his party did. Leaving the Viking site was a type of instant, extreme time travel. I drove my rental car south along rocky coast, then inland towards the small St Anthony airport ‒ all the while keeping my eyes out for wandering moose. 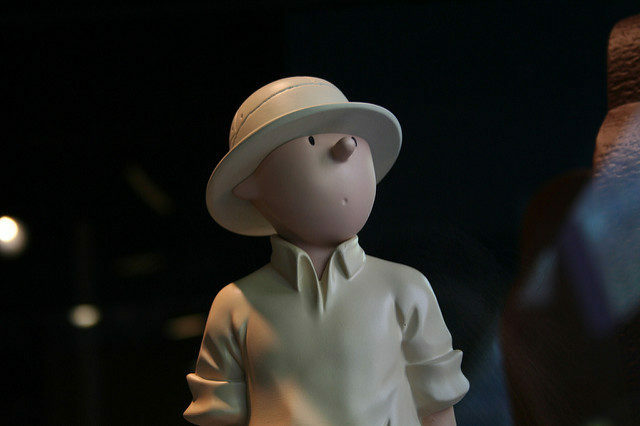 In the overcrowded world of fictional characters, there are few faces as adorable as Tintin’s. 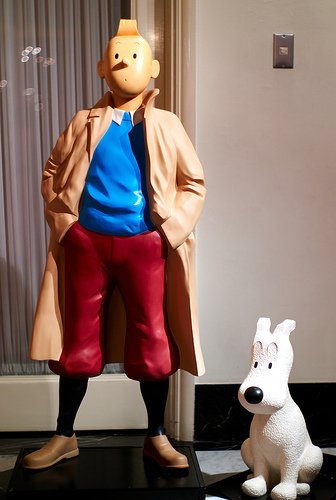 Unlike Batman, Superman, or Wonder Woman, Tintin, the young investigative reporter, is not a household name in America, but he is definitely one of the most beloved figures in Europe. 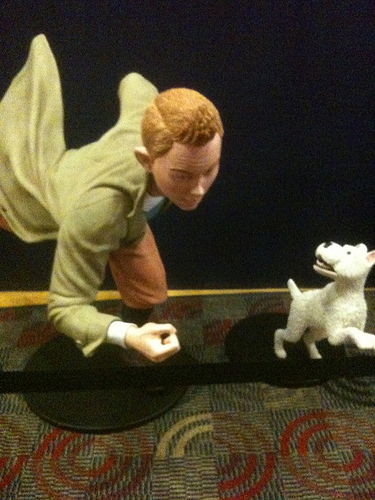 Tintin and his fox terrier, Snowy, appeared for the first time on January 10, 1929, in the children’s supplement of the Belgian newspaper Le Vingtième Siecle. What started as the subject of a supplement went on to become a symbol of the 20th century, appearing in an inde­pen­dent comic book, on television, and even on the big screen in Steven Spiel­berg’s animated movie The Adven­tures of Tintin: The Secret of the Unicorn. Georges Prosper Remi, known by the pen name Hergé, is the man behind the creation of Tintin. With almost no formal training, Hergé began drawing the legendary comic-book character in 1929, but little did he know that by doing so he would give birth to an entire European comics publishing industry. 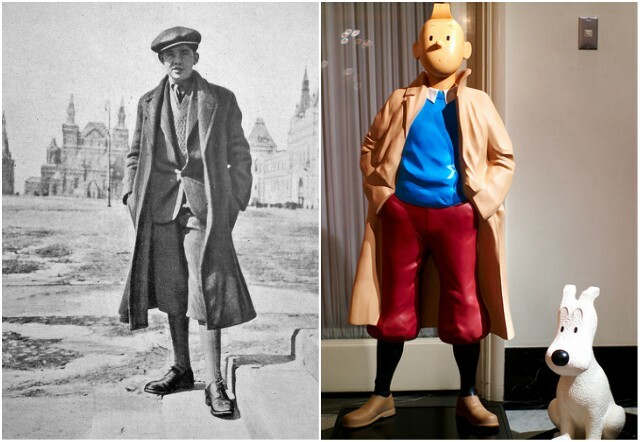 Since 1929, Tintin comics have sold more than 200 million copies, and over the years, this beloved character served as an inspiration for many people and influenced the ways comic book readers perceive the world around them. But what actually inspired Hergé to create the iconic character? Debate still exists on what exactly inspired Hergé to come up with the snub-nosed teenage reporter, but most people agree that it was a real life person known by the name Palle Huld. It is one of the most original of origin stories in the comic book world. Less than a year before Tintin made his first appearance, in the children’s supplement of Le Vingtième Siecle, a 15-year-old Danish Boy Scout named Palle Huld won a competition organized by a Danish newspaper to mark the centennial of Jules Verne. Palle Huld, during his trip around the world in 1928, almost certainly influenced Hergé to create Tintin. The winner of the competition would re-enact Phileas Fogg’s voyage from Verne’s famous novel Around the World in Eighty Days. Strangely enough, only teenage boys were allowed to take part in the competition, and the 15-year-old was the perfect match. There was another twist: The winner had to complete the journey within 46 days, without any company and without using planes. Hundreds of Danish teenagers applied to participate in the competition, and Palle was lucky enough to be chosen. 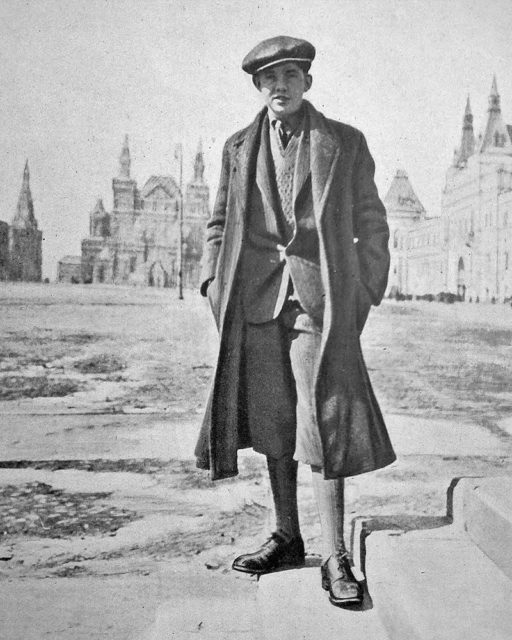 He started his journey on March 1, 1928, from Copenhagen and traveled by rail and steamship through England, Scotland, Canada, Japan, the Soviet Union, Poland, and Germany. His journey made the headlines at the time and when he arrived in Denmark, he was already a celebrity. Over 20,000 admirers greeted their hero when he came back home. The next thing he did was write a book about his journey, which was quite popular among his admirers, and published in several languages. That book also came into the hands of a Belgian cartoonist known by the name of Hergé and that same year, when Huld’s book was published, Tintin made his debut. Huld himself suggested on several occasions that he was the inspiration for Tintin. However, others believe that the inspiration behind the character was actually the French travel photojournalist Robert Sexe, whose journeys were exactly in the same order as Tintin’s first three books. Nonetheless, true Tintin fans couldn’t care less. For them it is all about the character, a hero they all know and love, representing something that others don’t have: uncompromising vigilance and the need to succeed no matter what the cost. Tintin proves that a hero doesn’t need to be big or strong, he or she just needs to be tenacious and stubborn enough to do what needs to be done.